Over the past week, I have accumulated quite the amount of books. Despite the fact that I already own almost 1,000 books already (how did that happen?? ), I just can't seem to stay away from book sales. Half Price Books was having a warehouse sale where everything was $2 or less. Of course, I went on the first day right when they opened and found a glorious amount of books that I just couldn't live without. I didn't even spend that much money! I walked out of there with 14 books for myself for only $9. I got another 6 for my mom for only $3. How could I pass up on a deal like that? I also couldn't resist finally buying Isla and the Happily Ever After from The Book Depository. I have been dying to read the book and after seeing it posted on so many book blogs and Instagram accounts, I finally gave in and ordered myself a copy. It's finally in my hands and I can't wait to start it! It was definitely a busy, yet incredible weekend. 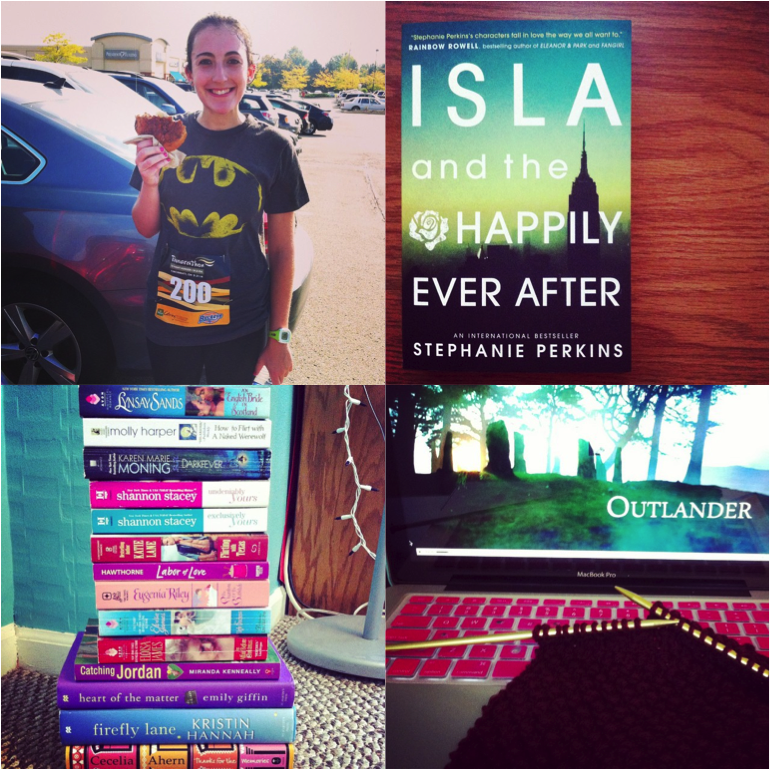 With books and running, what was there not to love?